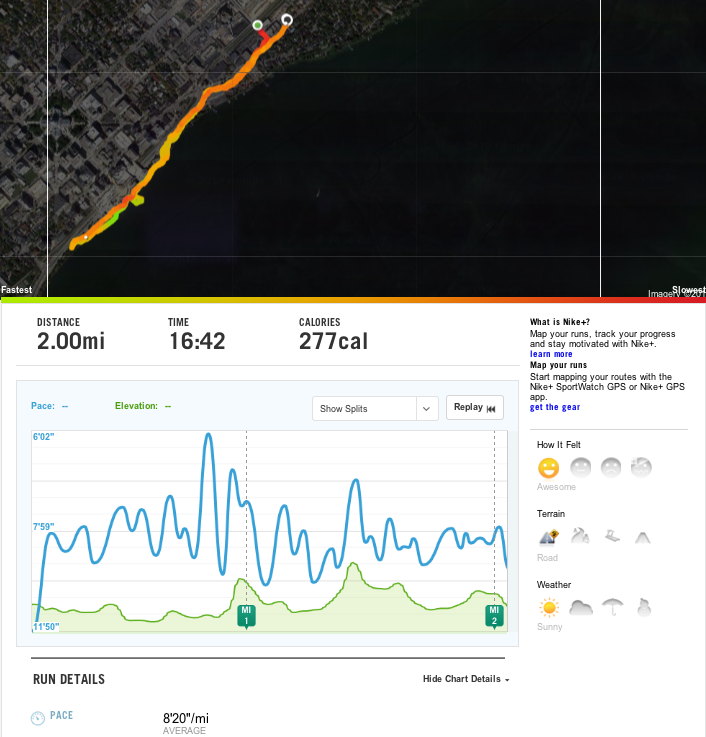 Just wanted to write a quick post about the recent update to Nike+. 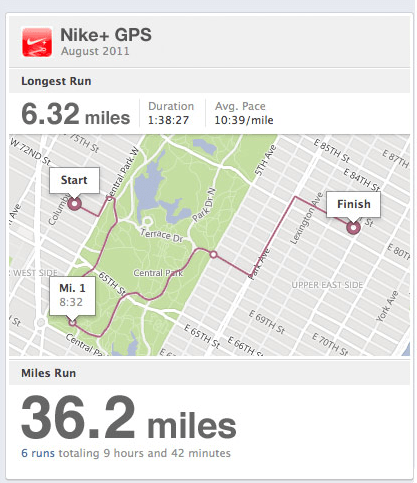 If you haven’t already seen our Nike+ review, please check it out. ★ Updates to improve compatibility and performance. We’ve integrated Tweet Sheet to make sharing on Twitter even easier. ★ Now you can choose to link to your route map or run curve when you share your run on Facebook. ★ Indoor/Treadmill runs can now run in the background on iOS 5. We’ve updated our engine to further enhance GPS and Accelerometer accuracy. ★ Fixed large game of Tag issues and general bug fixes. I know the list of new features isn’t extensive, but for those of you who haven’t updated yet, we wanted to be sure you were aware of one particularly impressive feature: the ability to share your route map or run curve to Facebook via the Nike+ application. Click here to see a screenshot of what the new service looks like after my first run with the new update. I believe that this update is Nike’s first step in adding all of the exciting features that are compatible with Facebook’s Timeline, which was released last week. Most of the new features to look forward to can be seen in the video below. The running stuff starts around 00:47. Also please note the guy on the bottom left at 00:53, who is apparently being chased by a mountain lion (I mean seriously, he must be going for his fastest mile). I can speak for the TRCrew when I say we are very excited for the recent and upcoming changes to both Facebook and Nike+. We also look forward to see how Nike plans to update the Nike+ website, which they claimed they had plans for in their apology email back in September.